I designed the Tiny Bag because I had a neighbor that said, "I love your other bags, but I need something smaller with pockets." 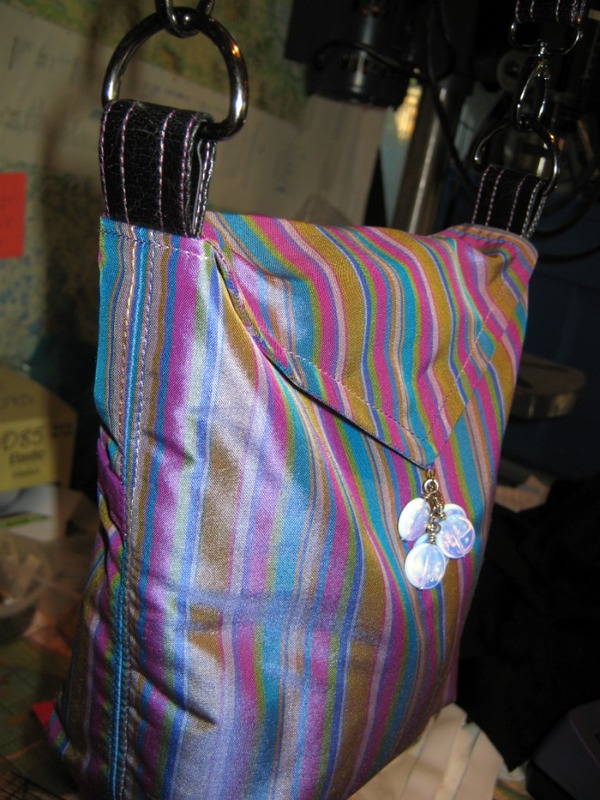 And right there I came up with the design for the Tiny Bag, including 4 pockets. This bag is great when you need to carry a few things for an evening out or to keep those important things close when you have a variety of things!! This pattern works great with quilting cottons, tapestries, home dec, denim, canvas, and the list goes on and on!! Need the strap vinyl or the hardware? Not a problem. It can be ordered from my online store. 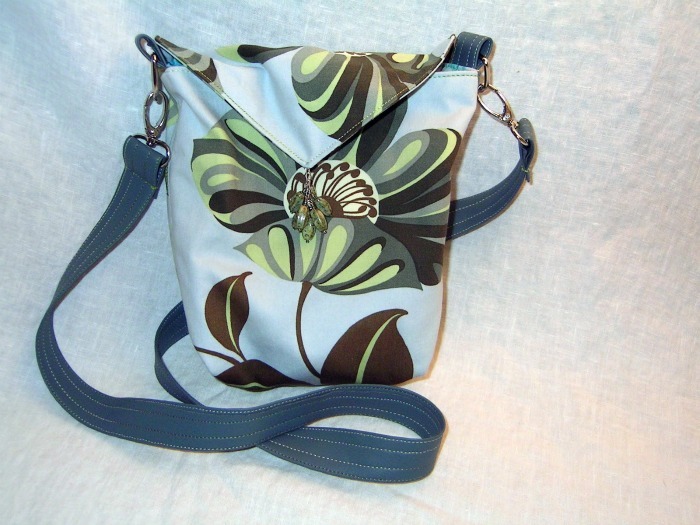 Cheryl is a designer of handbags, clothing, and home accessories. Her custom designs combine charm with a modern eclectic, retro twist. After a twenty-one year career at upscale retailer, Nordstrom, she launched her custom design business, Paradiso Designs by Cheryl Kuczek. 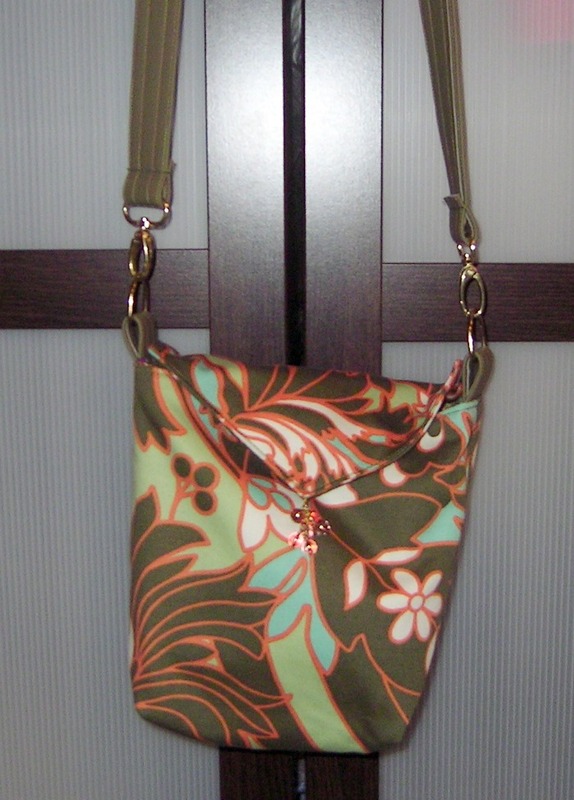 In fall 2006, Cheryl launched her own independent pattern line with four handbag patterns. Since then she has published nine more patterns, including two skirts, a kimono jacket, throw pillow, and two handbags. After meeting Sandra Betzina at Sew Expo in 2010, Sandra invited Cheryl to film two shows for Power Sewing. 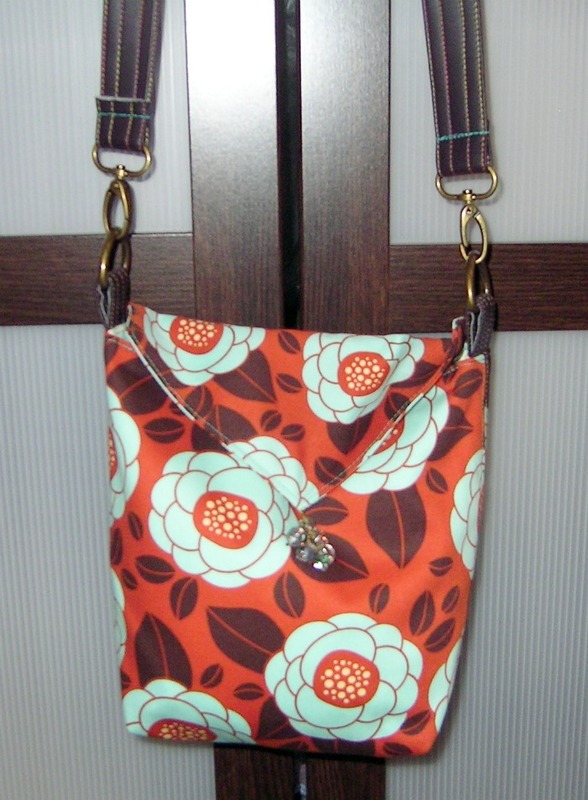 In October 2010, at International Quilt Market in Houston, Cheryl introduced two new patterns. 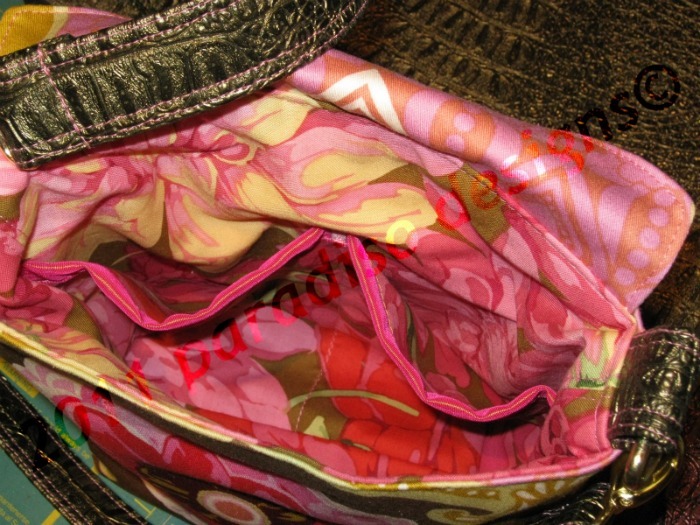 Her pattern line is represented by several national distributors. Stitch Magazine will have two projects designed by Cheryl in the Fall 2011 issue out July 2011. May 2011 "The Boho Frock Formula" and "The 3 Harlow Skirt Formulas", a new dress and children's skirt pattern will be released at The International Quilt Market. Five years ago Cheryl began teaching adults and children not only how to sew, but how to incorporate their own styles into custom creations. As a teacher Cheryl loves helping her students learn to sew beyond what they believed they could. Using her handbag patterns, she helps them create their own look. They also learn to draft their own patterns to make clothing that fits them and, for the children, to make all kinds of whimsical stuffed creatures. Cheryl helps all of her students start and complete their own projects—and, even more important—to really understand design and the evolving creative process. 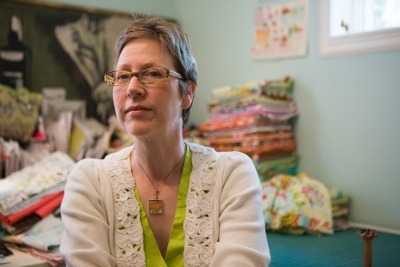 She finds tremendous joy in the ability to give others a reason to sew and create as well. It is Cheryl’s passion. 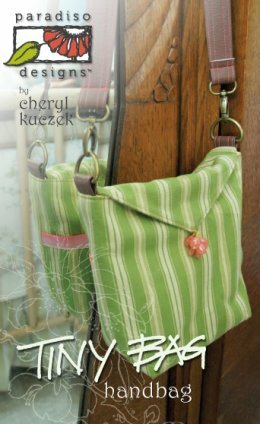 Beyond expanding her pattern line, Cheryl’s goal is to design a line of fabric and publish a sewing book to include many new designs. Visit Cheryl’s blog at www.paradisodesigns.blogspot.com today, to get inspired. Find all of Cheryl's patterns on her website at www.paradisodesigns.com. What got you to start sewing/quilting? I was fascinated that my mom was making Barbie Doll clothes for me. I asked her how she did one thing, and I was hooked right then. 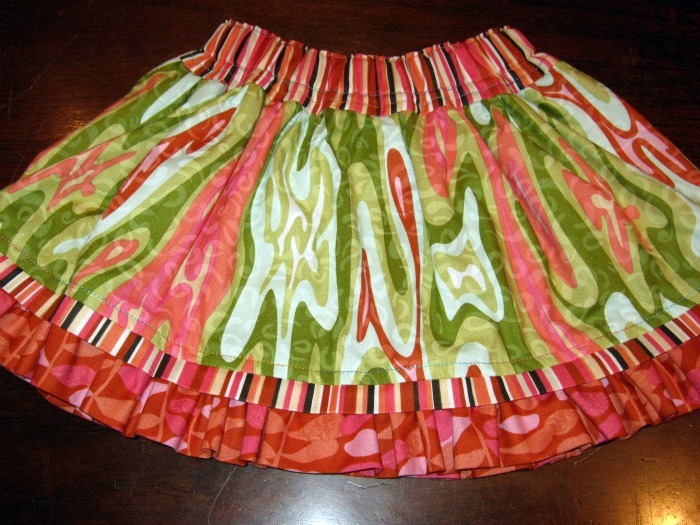 Started with fabric scraps….it did not amount to much, but I loved decorating for my Barbies. Then I started making things for myself, and off I went. Like anything else, if you desire to do that one thing, you will find a way to do it. I just finished designing my first dress pattern called The BoHo Frock ( will release Spring 2011 Quilt Market), and it can be sized up to plus sizes, and made in 3 different lengths, which I call Baby Doll, Midi, or Maxi. When I was a kid I loved these different lengths, and now I have the opportunity to use them in my own pattern. I try to find balance with my work by working out, and gardening. I love to make jewelry and I love to paint murals on the walls of my house!! I live in Seattle with my housemate Elmer and our dogs Genny and Truffles, and my cats Ti, and Cheechee. My mom lives in Alaska where I grew up, and I am happy to be visiting her this summer…she wants a mural painted on one of her walls!! I absolutely love sewing!! And when I design patterns, I work really hard to find the most common sense way to sew them together, therefore, making it easier to sew. 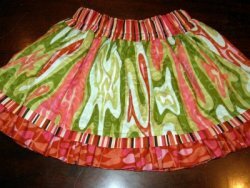 I have come up with many new techniques that make the sewing steps flow and the project come together easier.